A young Christian voice begging to be heard. I spent an hour or more completely redoing my entire design. I changed the shape, the photos, the text wraps, everything. Message: I wanted to give my work an appropriate and professional home to show future employers. Top Thing Learned: Master pages. Future application of Visual Media: I would love to work for a small publication that allowed me to not only write my stories, but also lay them out. Description: A brochure created for a used bookstore. Process (Programs, Tools, Skills): I started by writing the words of the brochure to give myself an idea of what I wanted to do. I then created the logo and additional images with a cohesive color scheme. I did my brochure layout with the margins, and taking into account the fold and such. I inserted all the media and words and BAM! It was created. Message: Read more. Don’t let money stop your imagination. Audience: Lower class demographic of this city; patrons of the bookstore. Top Thing Learned: I really became a friend with InDesign and how it works with other Adobe programs. I also learned text wrap can be a pain and a half if you don’t know how to do it. Color scheme and color names: Split Complimentary: Red (Pink), Blue and Green. Description: This is a webpage I design using HTML and CSS. Process (Programs, Tools, Skills): I started with a basic HTML structure and a basic CSS structure. I loaded both into TextWrangler, an HTML editing tool, and started to move things around. I learned how to make tabs, which took a lot of time. I big change I made to the “canned” CSS is I arranged my logo to be above everything else. I changed the colors and added the tabs, making it look more accessible. Message: My message is that I am a qualified college graduate ready to start my career with a professional company. Top Thing Learned: How to make tabs. Changes made to the CSS: Colors, arrangement of logo, tabs, rounded corners. The world watched as Paris exploded. Just 10 months after the attack on the Charlie Hebdo magazine, Paris is in a state of emergency once more. On the night of November 13, 2015, a series of concentrated terrorist attacks by the infamous ISIS has claimed the lives of 129 people and the security of a nation. 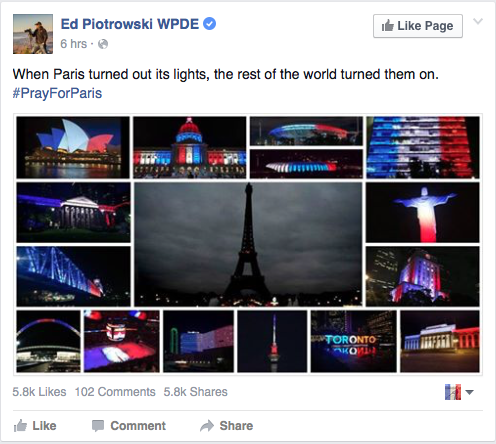 While the people of Paris scrambled to restore order and take care of the injured, the rest of the world watched. Leaders of other nations pledged support and sent condolences. 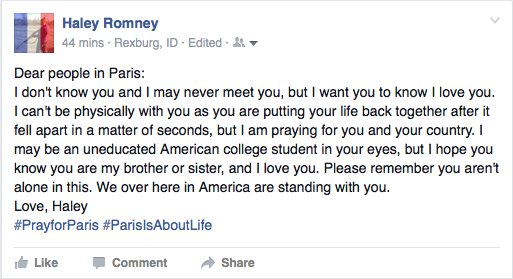 President Barack Obama has pledges solidarity to the war torn nation and condemned the act of terrorism as not just an act against Paris, but an act against humanity. “We stand prepared and ready to provide whatever assistance the people of France need to respond,” said Obama. 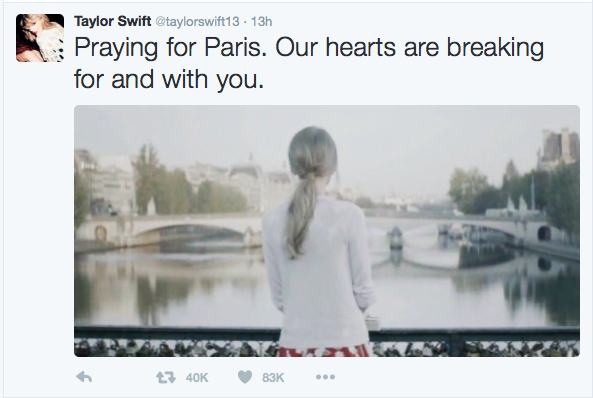 Hours after the attack the social media hashtag was born: #PrayForParis. 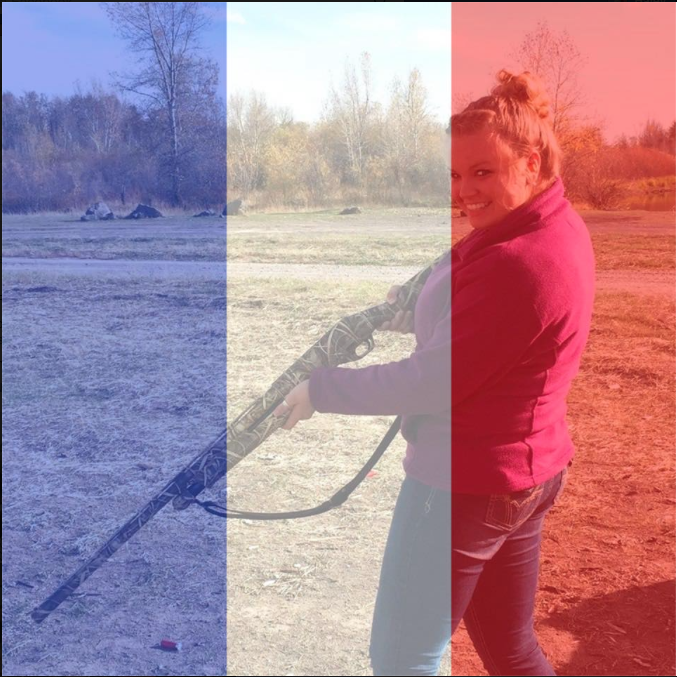 Facebook released a temporary profile picture, allowing users to overlay their picture with the French flag. A flood of sympathies filled Facebook, Twitter and Instagram. For a moment in time, the world was united with the French people in their hour of need. 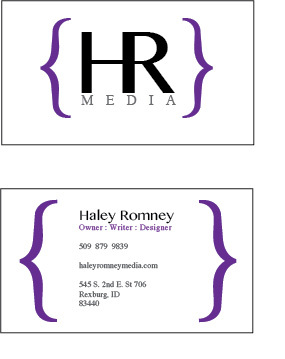 Description: This is a matching business card and stationary set for my personal and growing brand. Process (Programs, Tools, Skills): This was created in Adobe Illustrator. I used various types and sizes to create the logo. I just copied and pasted it on to the different sizes of document. Color scheme and color names: Purple, Gray and Black. Four years. That is how long Syria has been at war with itself. And in a matter of weeks, over half the population left their war torn homeland in hopes of a better future. Some countries want them. Some don’t. Either way, these refugees can’t go home. Germany and Hungary recently closed their borders to refugees, forcing them to other European countries, seeking asylum. Turkey, Lebanon, Jordan and Iraq are Syria’s immediate neighbors and have taken their fair share of refugees. In Europe, countries like Sweden, the United Kingdom, Greece, Italy and France are popular destinations to war exhausted families, according to CNN. The Church of Jesus Christ of Latter-day Saints, or the “Mormon Church” as some call it, has issued a statement about this crisis. It will be read to all the church members in their upcoming church meetings. “It is with great concern and compassion that we observe the plight of the millions of people around the world who have fled their homes seeking relief from civil conflict and other hardships,” the letter from the governing bodies of the church said. The Church’s Humanitarian Aid program has helped millions in need over the last 40 years, and will continue to do so. Process (Programs, Tools, Skills): I created this in Adobe Illustrator. I had a really fun time figuring things out, since this is the first time I’ve used Illustrator. I used the type tool to create all the different aspects of the logo itself. By using different sized fonts and variations on leading and kearning, I was able to make the text fit a certain way, with MEDIA spanning across the connected HR. In the case of the bottom logo, I used a simple ellipse tool to create the background and just made the font white. Message: Of all the drafts I had, chose this design because it gives a message of professionalism. It is clean and just breathes. Audience: Customers looking for media her from this company. Top Thing Learned: The type window, including leading, kearning, and sizing. Color Scheme and Color Names: Monochromatic purple. Purple, Gray and Black.